You must make reservations at least 5 minutes in advance of the time at Aperto. Catering: Personalized catering packages are available on an individual basis. Call us to create the optimal meal plan for your next event. 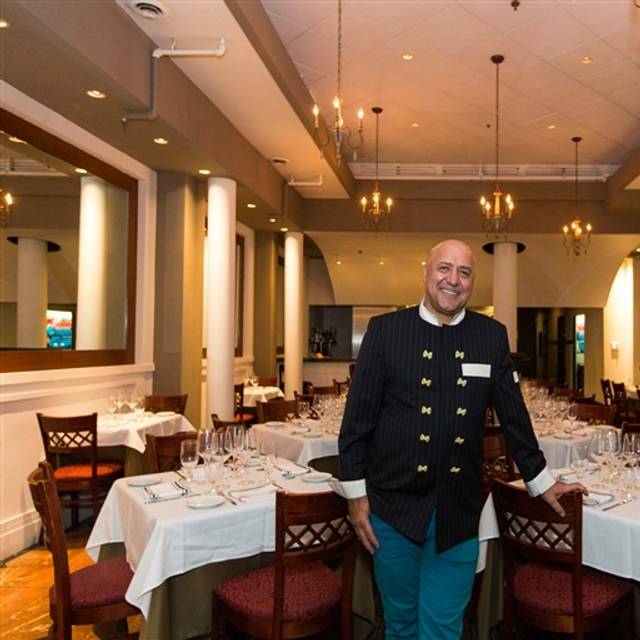 Chef Luigi Diotaiuti’s latest concept “Aperto” is named after the Italian word for “open”. 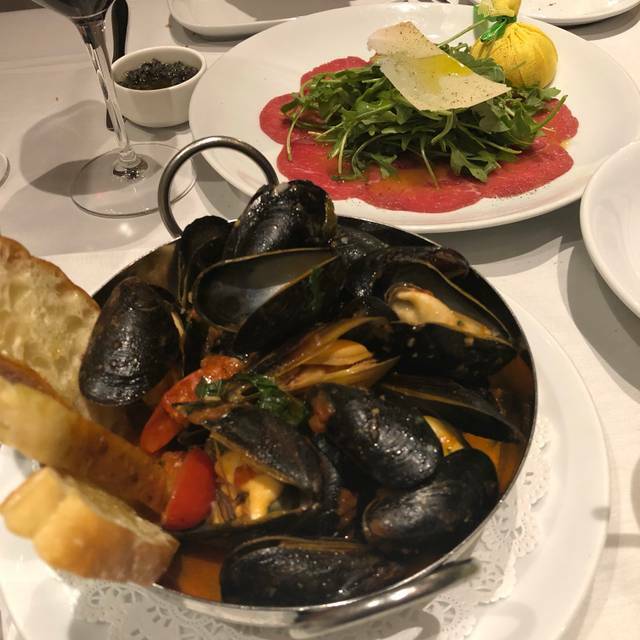 Featuring an open kitchen, a comfortable atmosphere and honest Italian cuisine, Aperto offers Washingtonians the freshest Italian flavors with a contemporary twist . 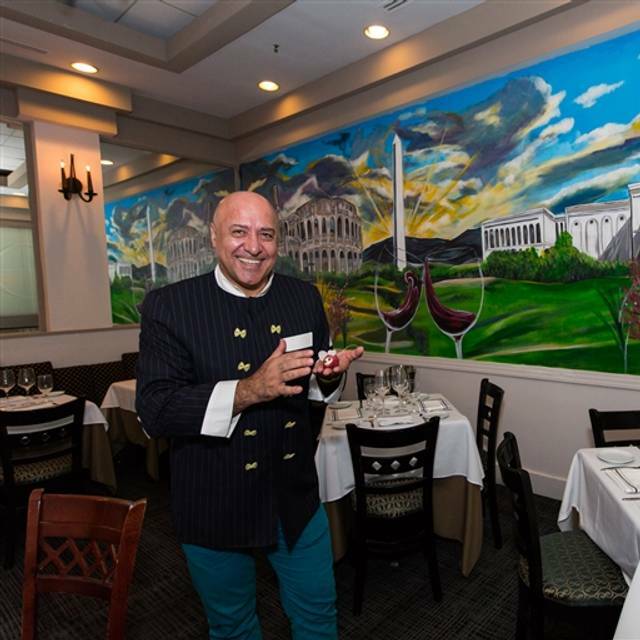 Aperto’s culinary philosophy combines Chef Luigi’s full-circle vision of providing patrons with the best from the past, present, and future of Italian cuisine while incorporating as many house-made, local, organic, free-range, and sustainably farmed products as possible. 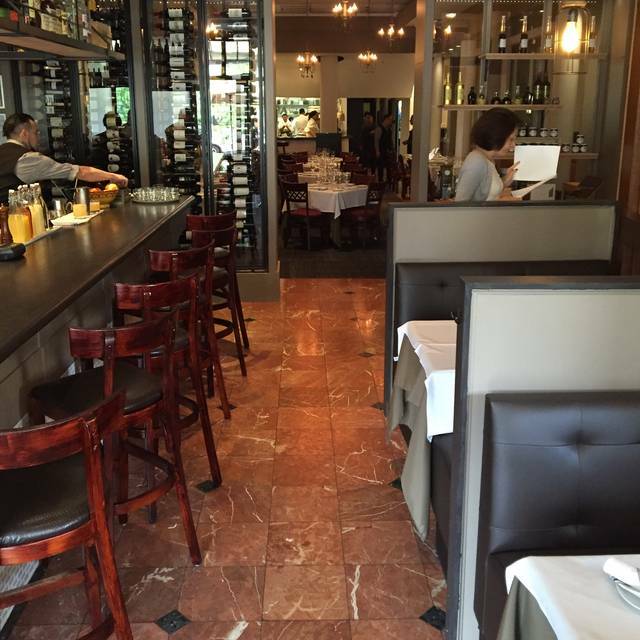 Enjoy a delightful Italian-inspired brunch, lunch, or dinner in our carefully appointed, inviting setting. Join us for an aperitivo - Italian cocktails created with our own line of house made liqueurs at Happy Hour or carry out our classic dishes for lunch or dinner. In a hurry? Our Express Lunch packs a robust punch for those on the go. 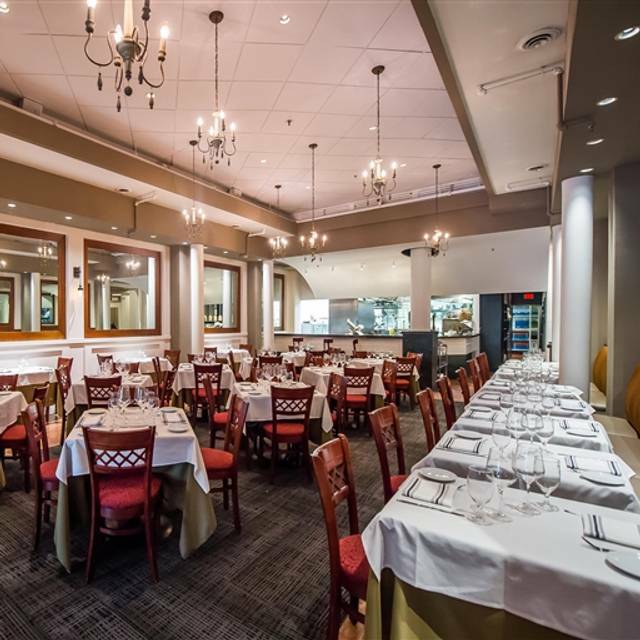 The private room is the perfect location for exclusive Italian style events, and sidewalk dining for Al fresco diners. Food was not good. My ravioli was dry, very bland, not flavorful. Very expensive for the quality of food that was served. Loved this restaurant. Food was top notch and service was impeccable. Would definitely come here again and recommend it for anyone looking for a good quiet high quality dining experience. I have visited this restaurant several times before and always enjoyed the food and the service. Not sure I will return anytime in the near future. Maybe it was a Sunday evening. But we waited a very long time for our entrée to be delivered. There were very few people in the restaurant (maybe only Four or five tables occupied) so, I don’t know what the holdup was. There was no apologies from the waiter for the lengthy delay. Quite frankly this was a little disappointing. Excellent and personal service. Delicious food and drinks and a very professional decor. I visited there with my husband and 6-year boy. The service was perfect, particularly kids friendly. The food was excellent. I loved today's risotto with shitake mushrooms and scallops the best! It was my birthday and the food and service is beyond amazing. Get the mussels and grilled octopus. The Lamb chops are also excellent. Keep up the Good work! I would highly recommend your restaurant to my friends and colleagues in New York, DC and elsewhere. Food was expensive for what it was. Service was wonderful wonderful wonderful though. Wonderful meal with friends from out of town. Great restaurant. I’ve been several times for lunch during the work week. The ambiance and professionalism of the long-term staff make for an elegant experience -even with a brisk business lunch. However at peak hours they can seem a little understaffed which is why I gave service four stars instead of five. Food is 5 star every time. I personally don’t care for the saltiness of the house-made prosciutto (lamb or duck), but every other menu item i’ve had is exceptional. The house wine offerings are also quite good and appear carefully selected for quality, not just value. Aperto is one of those gems that is hiding in plain sight. Great food, well prepared and served. It is actually possible to enjoy a leisurely meal and have a quiet discussion in a postive environment mere stps away from Pennsylvania Avenue. First class. We loved the food; not the classic Italian menu. Friendly atmosphere; great server. Really fantastic, food was great as was the service. outstanding. Great service, full bar, impeccable service. Felt like Italy. Service and food were excellent. This restaurant would be celebrated in Italy. Expensive by DC standards, but worth it. Every time I go to Aperto, I am assured that I get outstanding food, and service is impeccable. The wait staff remembers you and what you like from your last visit, which I find outstanding. It is a gem in the neighborhood. From the moment we entered Aperto, we knew that we were in for a special treat. The matre d’s reception was warm and delightful; service was attentive but not intrusive; and the food was out of this world. Aperto will be a frequent destination for us. We have been to Aperto at least four or five times, and have enjoyed it every time. The fish stew is wonderful - probably the best that I have had at any restaurant. The servers are friendly and efficient. 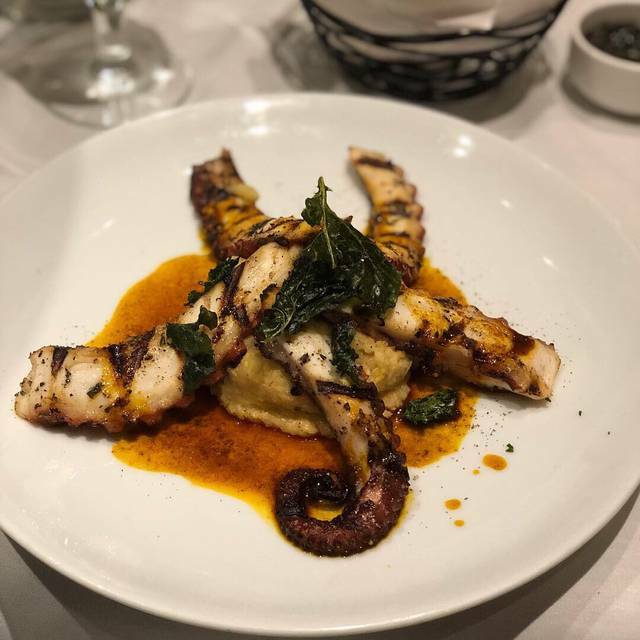 As with other restaurants of this quality, the prices of the appetizers and desserts tend to be on the high side, so the experience of dining at Aperto tends to be pricey. Nonetheless, I strongly recommend Aperto. Wonderful evening celebrating a birthday. Excellent food and extraordinary service. Especially enjoyed the opportunity to sustain conversation throughout the evening due to the minimal noise level. Restaurant provided birthday dessert descreetly. Highly recommend Aperto. Service was excellent, but food was just ok. The food was interesting but bland. Overall a fine experience, but I’m glad we only paid the restaurant week $35 and not more. The food was excellent. However, it was a bit expensive for us. I liked Aperto - I didn't love it. The service was superb and the general atmosphere is calm and cozy. We had the "Restaurant Week" menu: the fennel and orange salad was very nice and light. The pasta was a disappointment -bland. Both of us ordered the same dish and we agreed that it just wasn't that appetizing. I didn't eat dessert so can't comment on that. Perhaps we ordered the wrong dish - I would be tempted to try again - but I won't be rushing to do so. 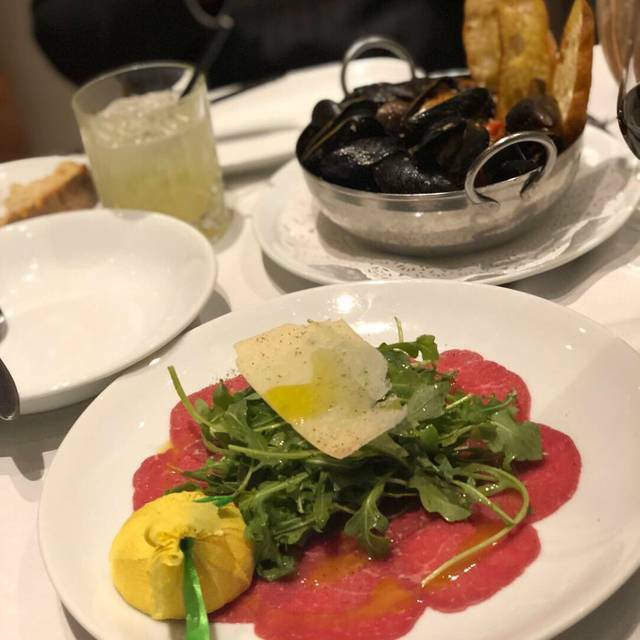 Aperto is a charming, undiscovered Italian restaurant serving the freshest fish in DC plus a host of other very well prepared dishes, particularly the pasta preparations, which are delicious and creative. 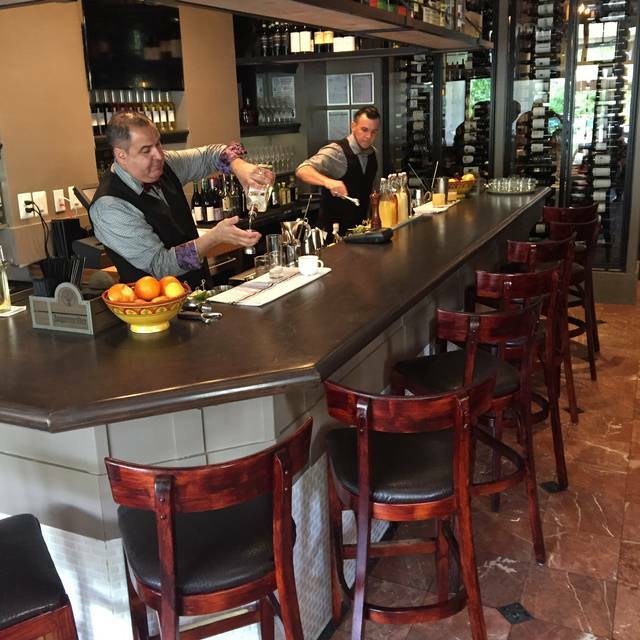 The Staff is super friendly and competent, and the menu features a very nice and reasonably priced wine list. The food is as good as Fiola at half the price and without the pretentiousness. Also, while it is a small restaurant it is very quiet and has a great wine room for dining for special functions. I love Aperto and highly recommend it for lunch or dinner. Belissimo!!! We had a wonderful Christmas Eve dinner at Aperto! The ambiance was wonderful; a comfortable , elegant space with excellent service. The food choices were interesting and varied and we all were very pleased with our choices. I would definitely recommend this restaurant for special occasions. The restaurant was empty at 8 on Friday night. Perhaps it has gone down hill since the earlier laudatory reviews. The lamb prosciutto was good, if salty. My wife's soup was not good, not worth finishing the bowl. My osso buco was good, sitting on a bed of much too salty risotto. FWIW, they should have given me a marrow spoon, since the included a marrow bone. My wife had a Caprese salad made with excellent sauteed peppers rather than winter tomatoes. Good winter tomatoes are hard to find. Nice choice for a celebratory dinner with friends. Well prepared food, great service and lovely room. Reliably good. Fabulous food in a warm and beautiful dining room. Homemade pasta was amazing as was everything else on the menu. Service was topnotch. 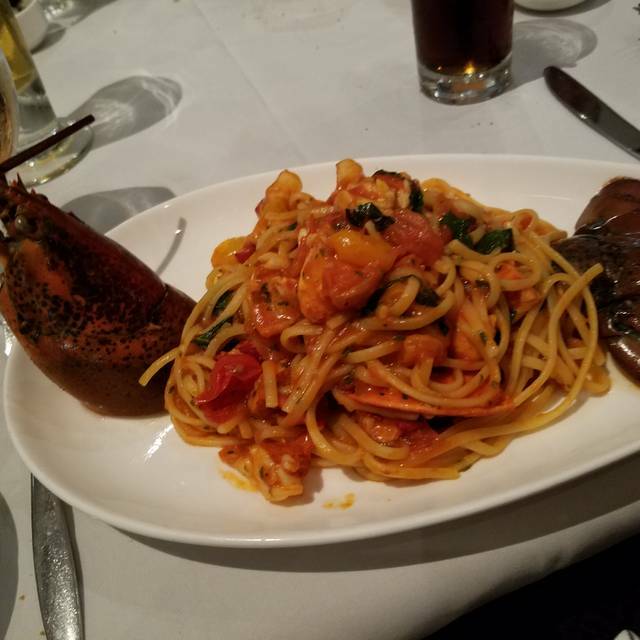 Great, authentic Italian food and excellent service. A lovely place for a quiet and delicious dinner. The food and wait staff at Aperto are simply exceptional. I was here for my 50th birthday, and they truly made it memorable. We stopped in based on a friend's recommendation while on vacation in DC. Loved the food! We'd definitely come again. $20 appetizer NOT ordered. Assumed appetizer part of meal...ate it...paid for it anyway because ate it. Very good food and very good location. Service was also very good. Amazing service! We ordered seafood, the octupos was spectacular. The lunch for four people cost almost $400. I never thought of this bill! I don’t think I will never go back there.